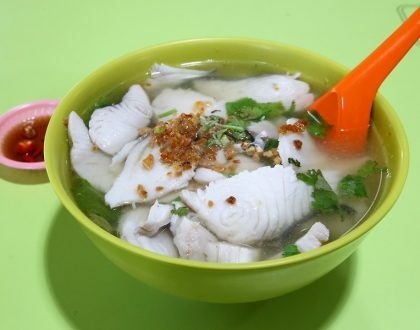 Pek Kio Food Centre has its own legion of fans for its old school charm, and offers a lot of pocket-friendly stalls with local specialties. 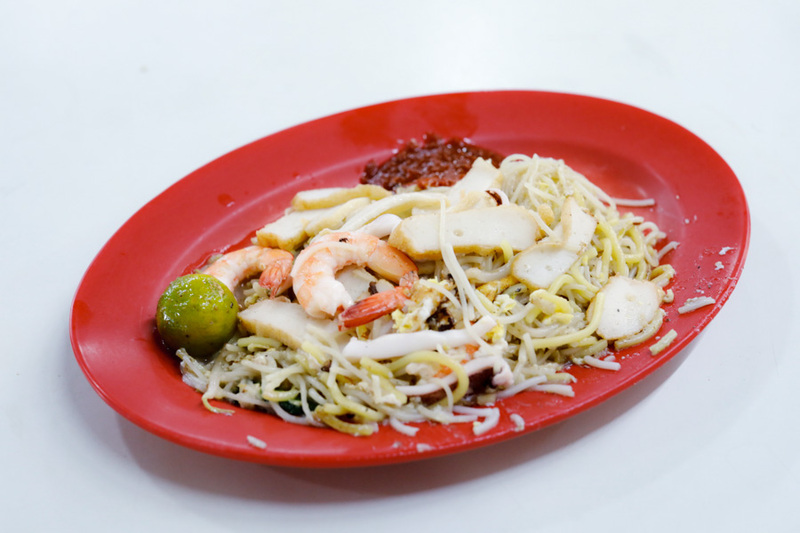 Okay, I have been to Pek Kio Food Centre quite a number of times, but never really took note of this Hokkien Mee stall. Perhaps it is due to its opening hours of 11:30am to 5pm – opened too late for breakfast, closed too early for dinner. 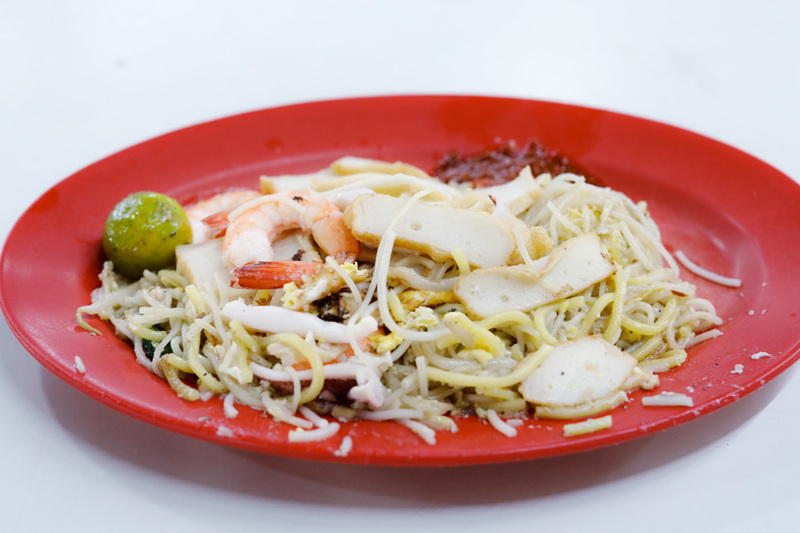 Talk about Hokkien Mee and we have our favourites from Tiong Bahru Yi Sheng Fried Hokkien Mee at ABC Food Centre, Come Daily Fried Hokkien Prawn Mee at Toa Payoh to Ah Hock Fried Hokkien Mee at Serangoon Garden. 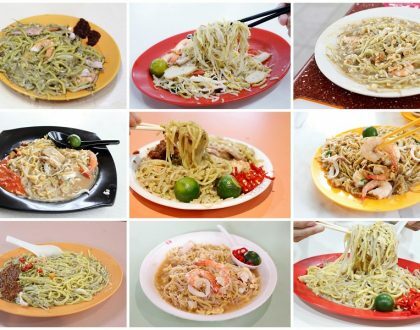 I would reckon that Sheng Seng Fried Prawn Noodles 生成炒虾麵 has a certain nostalgic taste that its regulars like. 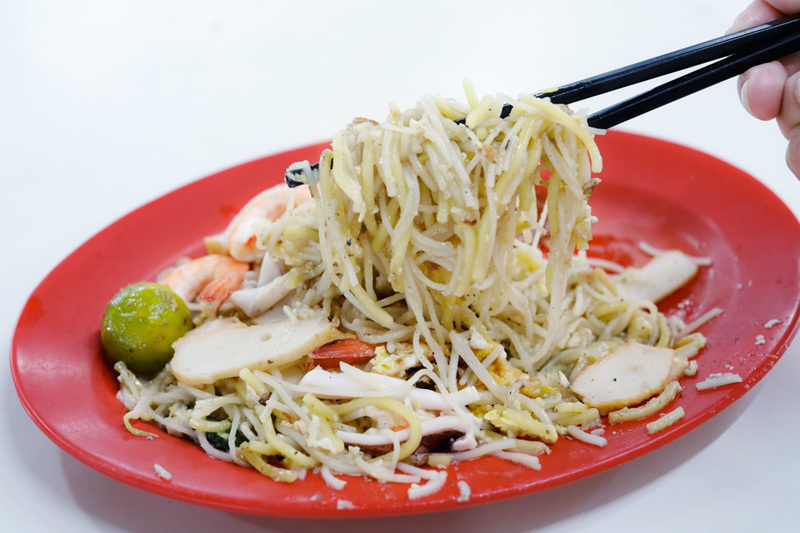 Popular for its value-for-money Hokkien mee, Sheng Seng Fried Prawn Noodles offers its specialty starting at $3.00. Also available at $4, $5, $6. 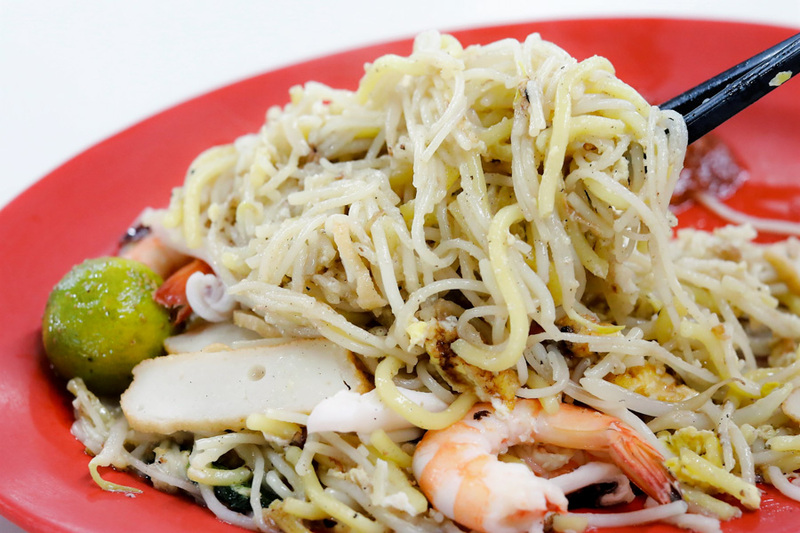 For the price, you get a decent heap of noodles with prawns and squid with an old-school flair. 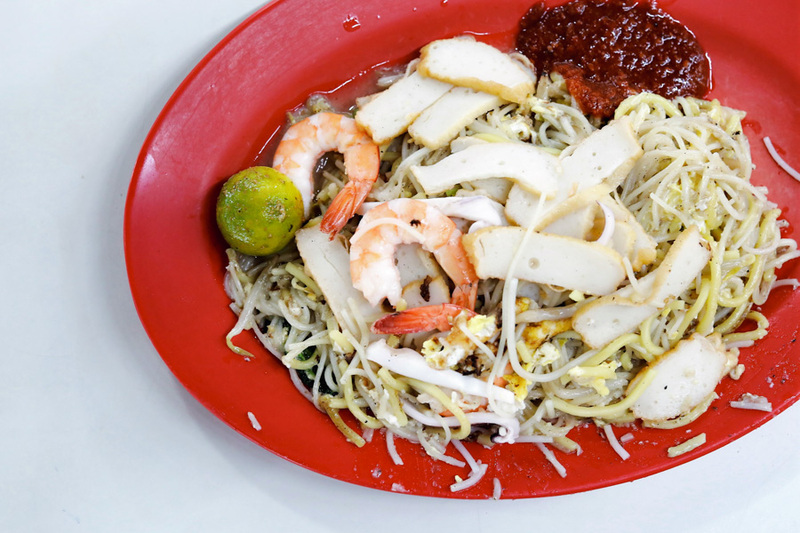 This wetter than usual version consists a good portion of a mix of thick and thin bee hoon and yellow noodles, served with thin slices of sotong, halved prawns, pieces of fishcake, egg, home-made sambal chili and some lime on the side. 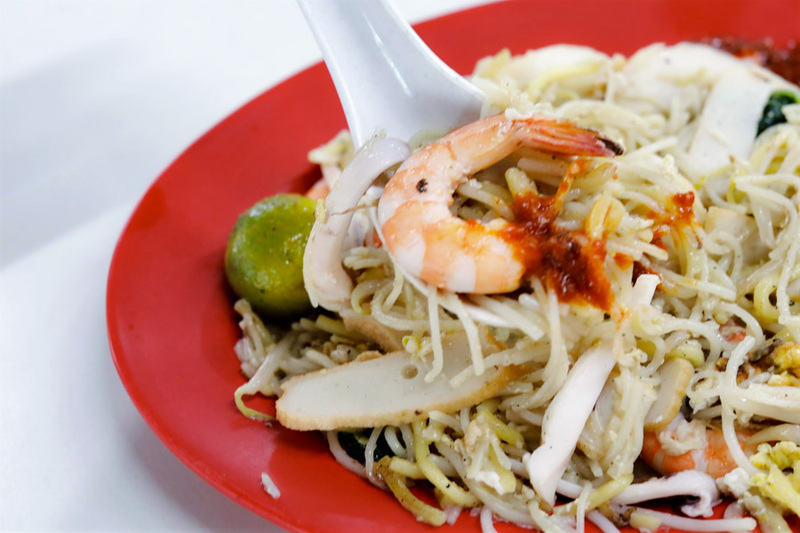 Fishcakes are not that commonly incorporated, and some people may find this reminding them of Char Kway Teow. The noodles are on soft and on cooked on the soggy side which some people may like. 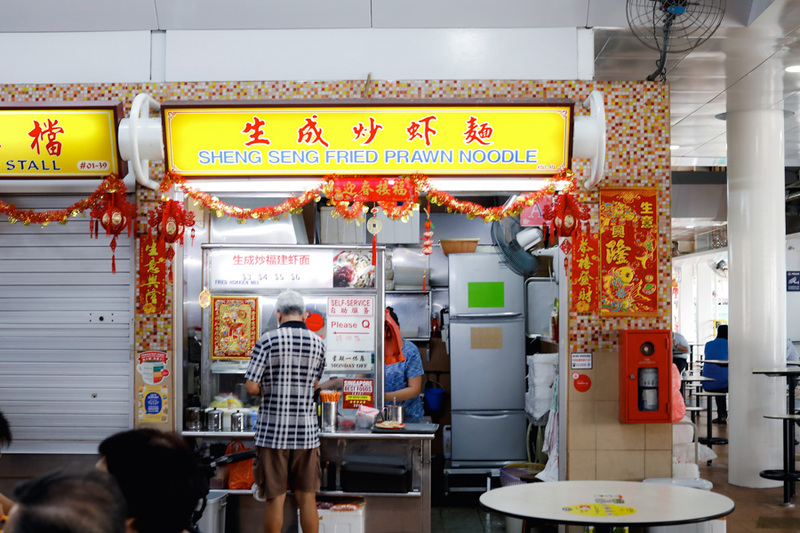 In terms of flavours, I thought it lacked that strong ‘seafoody’ and prawn stock base, that customers with 重口味 (who generally prefer something more flavourful) may not fancy. The sweet chilli sauce was delicious though. 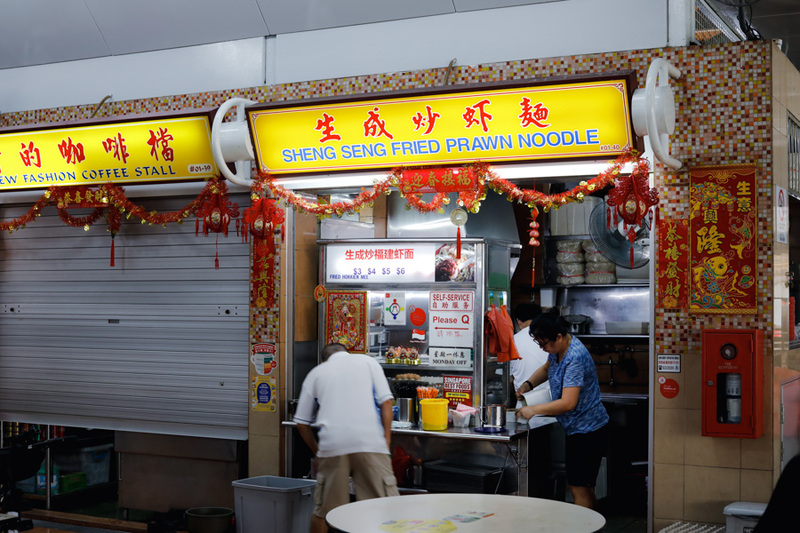 There’s always a queue at this stall but it does clear up fast. 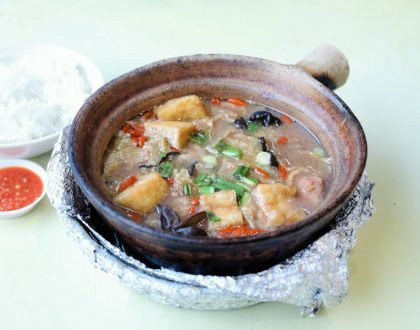 Given the price, this dish will fill up your tummy affordably.